Corporal Paul Birkett is a Communications Systems Operator (CS Op) currently stationed with 1st United Kingdom Armoured Division Headquarters and Signal Regiment (1 (UK) ADSR) based in Herford, Germany. 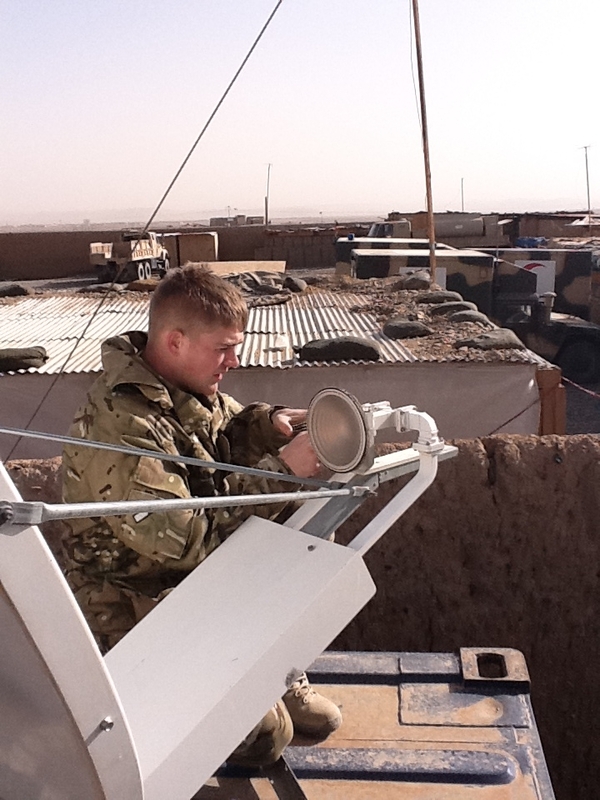 He recently deployed on Op HERRICK 15 where he is employed as Communications Centre (COMMCEN) Operator/Commcen IC. He is responsible for transmitting, receiving and distributing messages within Main Operating Base (MOB) Lashkar Gah. Secondary duties include providing support via telephone to outstations around the area and monitoring the communications systems. The saying “it never rains but it pours” certainly rings true in Afghanistan. We have entered the New Year with low temperatures, plenty of rain and spectacular lightning displays. During one of my guard duties it rained so hard that miniature swimming pools were forming all around me. Within an hour the guard-room flooded with around one ft of water, with nowhere for it to drain. Many other parts of the MOB were also affected. We are now waiting for the apparent rainy season to end and for the sun to make an appearance. Hopefully the sun will stay out long enough to enable us to start our panic tanning before we return to the UK. Following the numerous downpours the Troop has been busy with the general clean-up and rectifying any communication issues that had been affected by the weather. One of the HQs has been flooded and personnel were trying to disperse the water with paper cups and bowls. Due to the rain a number of the telephones within our location had stopped working – this important task fell to the Installation Technicians (Cpl Stewart and Sig Mclean) to rectify. In January we have been out to the PBs in order to carry important maintenance on the satellite ground terminals. This task proved invaluable at PB Nahidullah where a wasp nest was found on one of the dishes and successfully removed. I have also found the time to take members of 200 Signal Squadron, also based within MOB, through some satellite communication training – this will enable crossing training, whilst also ensuring they have an understanding of the basic principles of satellite communications. Within the last couple of days SSgt Paul Smith has been feeling a little unwell with the so-called ‘Man Flu’. It was first noticed when he was sat in his little corner with nothing much to say and consuming his usual 20 cups of coffee (normally within the first hour of work). However, it only took him 24 hrs to recover. Just before the evening brief he started feeling a much better and the usual good-spirited and lighthearted banter started again. The darts competition that Lt Thorpe had organised has now come to a close with LCpl Chris Simpson picking up the winnings, which is no surprise to anyone as he seems to spend most of his spare time at the dart board. The darts competition raised over $150 for the Army Benevolent Fund. 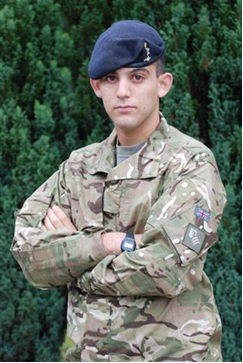 Signaller Mike Leonidas is a Communications Systems Operator (CS Op) currently stationed with 20 Armoured Brigade HQ and Signal Squadron (200), based in Sennelager, Germany. He is deployed on Op HERRICK 15 where he is employed as Rear Link Detachment (RLD) Signaller, responsible for providing communications from a small Patrol Base in Northern Nad-E Ali District. Sig Leonidas is working with A Company Estonian Ops Team. I’ve just arrived back in theatre after 14 days of Rest and Recuperation (R&R) leave back in the UK. I had an amazing two weeks off with some great weather, and it was great to see some smiling faces back in the UK. Really nothing has changed apart from me I think. During my time off I caught up with family and friends and found the time to do some travelling around Europe. Overall though it was just great to wake up in the morning and have nothing to do. It has been along time since my last Blog and a lot has happened. After R&R I came back to find the PB in a mad rush. Despite my time in the PB, after a short break I felt like the new kid again. I had quite a hard week with a lot happening, including an injury to one of my colleagues in the PB. A great deal of thanks to my old Regimental Sergeant Major (RSM) for putting me on my Team Medic’s course a while back. I was amazed how much my medical training helped me and how instinctive it was. I’ll be pushing to learn more when I get back to Germany and to keep my skills up. It was a great reminder that you will never know when you will have to put your skills into practise. Sig Leonidas and Sgt Toode of the Estonian Army. Geographically, Afghanistan and the UK aren’t really that far apart. But how different is this place? Standing in the Sangers on guard duty sometimes I really do wonder how they get on with everyday life in a warzone. I spend a lot of time speaking to an Afghan interpreter, he is my age but conflict is all he has known. He wishes peace for his country, but agrees that force is sometimes needed. I’ve been enjoying spending some more time with my new Estonian camp mates and it’s a nice feeling to know I’m leaving before them! However, before I go though, I need to teach them how to tell the time properly, how is 1330 ‘half two’?! I hope they don’t forget me and welcome me back to Estonia when they are back from their tour. Camp-life is basic as always but there are a few improvements. We now have warm showers at certain points during the day – which is nice. I think the biggest shock to the system has been the lack of freedom here. In a PB like this one, you are confined to a patch of land just a few hundred metres squared and even essentials have to be sent to you. I’ve really missed the freedom of getting everyday items when I want them, rather than waiting for a parcel to arrive every few weeks. A friend of mine at the PB recently gave one of the Afghans an old laptop. He opened up the laptop, something we would take for granted, with an almost childlike fascination. It was quite a special moment to see someone quite unused to gifts being given something that he really valued. Settling back into PB life wasn’t as hard as I thought it would be. Despite this, the countdown to the end of tour is starting and I can’t wait until the end of March and our journey back to Germany. Signaller Mike Leonidas is a Communications Systems Operator (CS Op) currently stationed with 20 Armoured Brigade HQ and Signal Squadron (200), based in Sennelager, Germany. 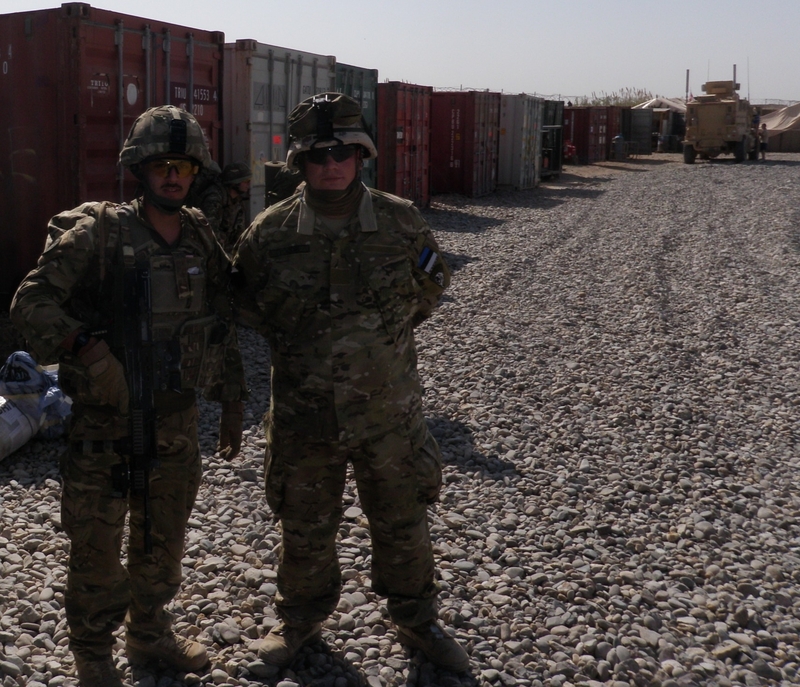 He is deployed on Op HERRICK 15 and is working with A Company Estonian Ops Team. In Mike’s second blog he tells us about learning multiple languages, keeping communications open, and bonding with his Afghan and Estonian camp mates. It’s now my second week and I’m settling into life in my Patrol Base, or PB. It’s basic living here and everyone has to muck in, from officers to junior ranks. At this level it’s all about working to together and sharing out tasks such as cooking and cleaning. There are no fast food joints or takeaways like on Camp Bastion. You basically eat what you are given, along with whatever treats the chef will let you get away with. I’m glad that I’ve had the chance to live like this. We are sharing our PB with the Afghan National Army (ANA). I try to engage them with small talk and they try their best to reply. I always find it funny when I say ‘Salaam’ and they turn and say ‘alright mate’? I’ve spent a lot of time speaking to the Afghan interpreters as I want to try and understand the culture and day-to-day life of the normal Afghan. They are a very proud people with a rich set of beliefs which really varies from village to village. One of the interpreters has told me that being polite or learning a few phrases of Dari and Pashtu goes along way with the Afghans. Speaking the local language helps the locals to respect and trust you. They are also more likely to offer you important information about their local area. I’ve started to volunteer for extra duties and I’ve decided to do as much as I can on this tour, as I’m really not here for that long. The medic here is teaching me bits of Estonian too. Learning how to say ‘12 months’ is always a funny one. Maybe in a few months I will be able to hold a conversation in two languages. We have had a few quiet periods recently. It’s almost possible to forget that there are insurgents in the area, but we have also had our busy times when the threat has been close at hand. I work in the Ops room on a shift pattern now. I get a few hours off a day to have a cold shower or hand wash my kit and relax. Communications have been relatively stable so far, but when something does go wrong it can be very frustrating. We have issues with big vehicles ripping out cables, overhead cables. Some of the antennae we have set up might look a bit rudimentary but they all work really well. If the Army ever stopped issuing tape and zip ties I dread to think what would happen. I’ve also encountered a novel approach to recycling. Anything that can be used in the PB will be used for something useful. Chairs and other useful things are made from all manner of different recycled objects. At the moment we have an ongoing project of making a TV area out of things we can find on camp. With three nations sharing such a small camp you might think that there would be more problems and personality clashes. But everyone does their best to get on and we are continuously bonding over shared experiences. Our mascot, a cat, imaginatively named Mr Cat, has also become the subject of much shared affection. I’m really looking forward to getting to know people more and I think it’s going to be one of the highlights of my tour. Sig Leonidas is a Communications Systems Operator (CS Op) currently stationed with 20th Armoured Brigade HQ and Signal Squadron (200), based in Sennelager, Germany. He has recently deployed on Op HERRICK 15 where he is employed as Rear Link Detachment (RLD) Signaller responsible for providing communications from a small Patrol Base in Northern Nad-E Ali District. After packing and repacking my bag back at Talbot Barracks in Sennelager, then repacking them again so that all my kit would fit, I was almost ready to deploy Op HERRICK 15. For many of my friends and I, it would be our first operational tour and the nerves were easy to see. The last 9 months or so have passed by in a series of field exercises and comms training which have all been designed to get us prepped for tour correctly. A classic Army early start meant I didn’t have much time for sleep the night before departure and before I knew it I was on the coach to HannoverAirport for the flight to CampBastion. A few hours later we touched down in the scorching hot dust bowl that is CampBastion. I can’t say that Mission Specific Training (MST) has flown by or that all the training to get here has been easy, but I was finally here. The last 9 months have been dominated byAfghanistanand I had seen and read countless books, TV news reports and BBC documentaries so it was a great feeling to actually be in the country at last. 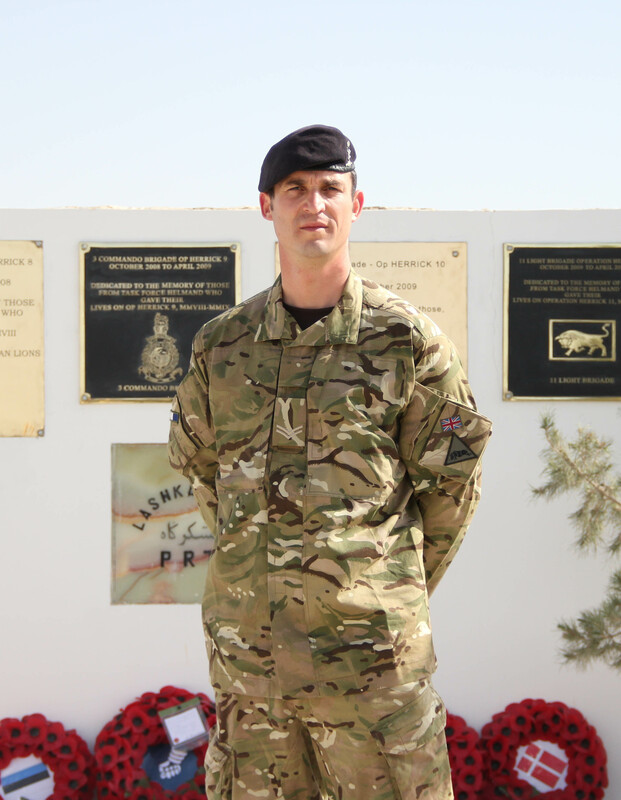 On our arrival at Camp Bastionwe were put into transit accommodation before starting our 5 day RSOI package. This is essentially a series of detailed briefs as well as a short field exercise so that you are well versed in the current situation inAfghanistan. The package is designed to remind you of some key skills and drills on arrival and ensure that everyone is up to the basic standard for deployment. The package also contains orientation briefs and lectures on loads of different subjects as well as firing our weapons on the local ranges. Luckily it wasn’t all lectures and it proved a lot more practical than I first imagined. During the package we covered many areas with a lot of focus on Counter-IED training. We had practised these drills a lot during our build up training so we were very familiar with the procedures for helping us to keep safe out on the ground. We were told that Improvised Explosive Devices (IEDs) are the biggest problem out here and, as our Squadron OC put it, the next time you will be confirming if it is a IED or not will be for real. I really believe the facts hit home but we all felt a lot more confident after a refresher on the subject. The RSOI package consisted of really long days but we still had time to grab a coffee and relax in the evenings at one of the coffee shops on camp. At the end of this training we said our goodbyes as most of us separated to our respected Check Points and Patrol Bases. Waiting at ‘Little Heathrow’, Camp Bastion’s helicopter air transportation hub, I couldn’t help but find it funny that even in Afghanistan I was getting delayed at Heathrow. It was a Saturday night and a few of us lay on our kit and wondered what our friends were doing at home. After much debating we concluded that this was the best way to spend it – about to fly out on a helicopter to somewhere we have never been to before. We were all nervous but excited and keen to get going. Once on the flight the view was amazing; the lights from each compound glowed beneath us as we flew over towards our final destination. I found myself trying to imagine everyday life for the normal Afghan families living below. The flight seemed to go really fast and before I knew it I had arrived at my basic Patrol Base (PB) in Nad-E Ali District. It felt quite amazing that for the next few months I would eat, sleep and celebrate Christmas here. I’m currently working with the Estonians and Royal Marines until the 20 Armoured Brigade units start to arrive. The Estonians have been very welcoming and they seem professional but relaxed. Life is petty basic here, there is no running water and the accommodation is pretty minimalistic. For entertainment we can read books and watch DVDs. A lot of the Estonians and Royal Marines have been spending a lot of time at gym so I’ll be joining them during my downtime. So now it’s time to settle in and familiarise myself with all the comms systems in the PB. I will be responsible for ensuring that they work effectively so I have a big role to play in making sure things run smoothly. I’m sure it’ll be a great tour though.